With Valentine's Day just around the corner, I'm sure they'll be a few people scrambling around to find something for their loved one. 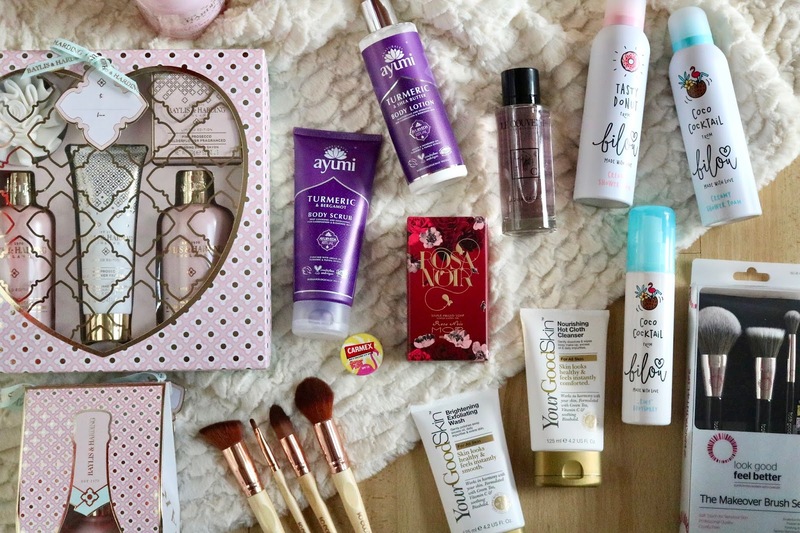 But when I was planning this Valentine's Day gift guide, I didn't want to go down the conventional route of lot's of romantic gifts because, to be honest, Valentine's Day isn't very conventional any more. You have people who don't even notice it at all, and unlike some of the bigger holidays, the 14th February passes by just like another day. 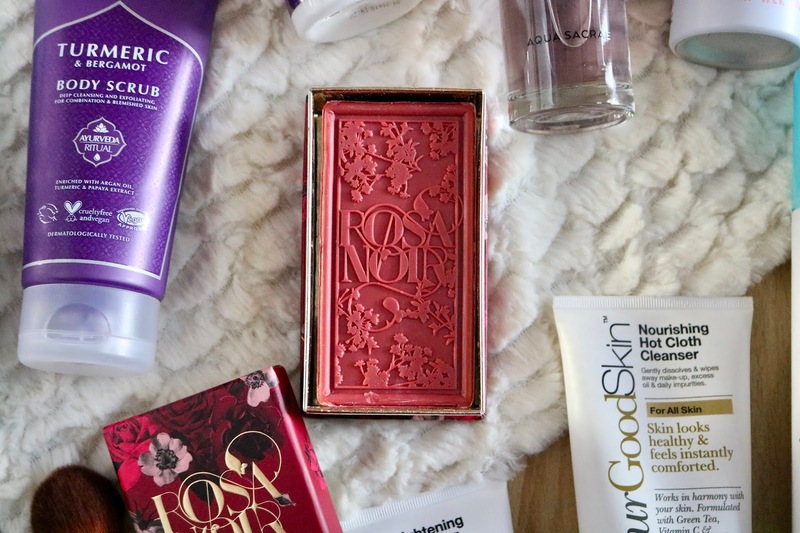 So this year, I wanted to focus on not just gift's for the beauty-loving lady (or man) in your life, but also for your friends to celebrate Galentine's Day or even an excuse to treat yourself for saying 'well done' for getting through January! 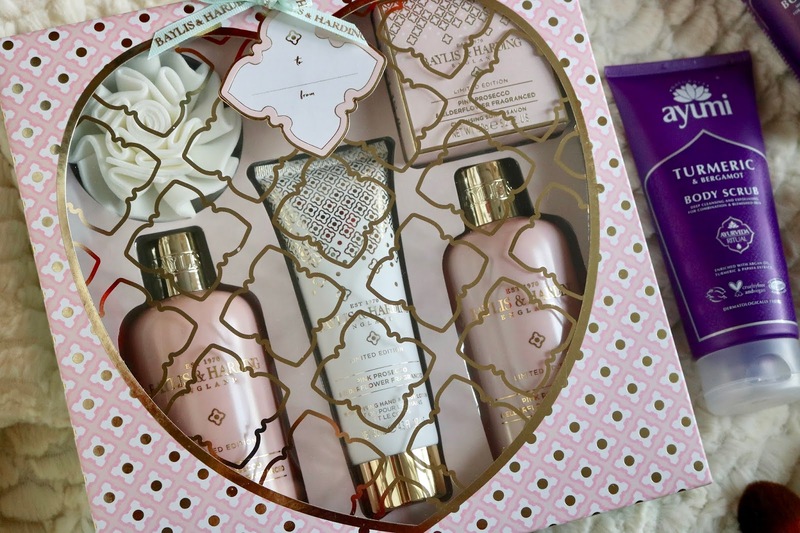 As always, Baylis & Harding (previous collabs) have come out with yet more gorgeous fragrance combinations at fantastic prices, and for this Valentine's Day they have come out with a limited edition Pink Fizz and Elderflower range. These products honestly smell amazing, like a grapefruit elderflower cocktail, and such great quality for the price. 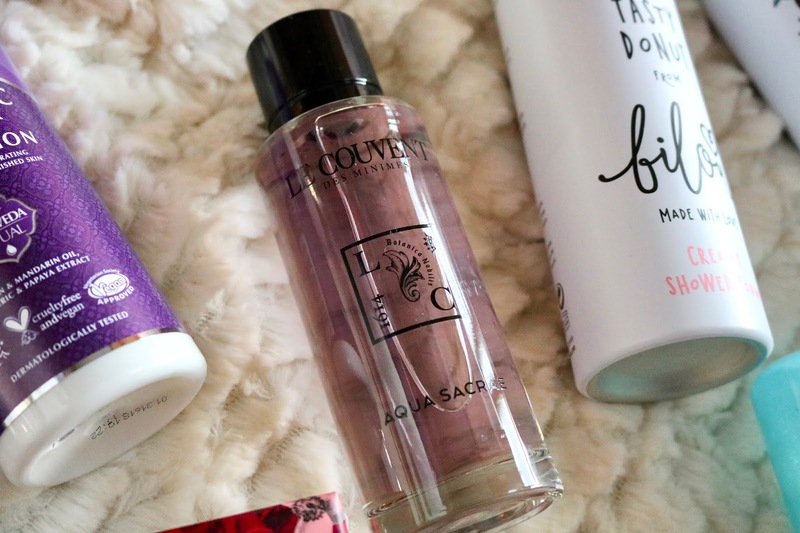 Some of my favourites include the bubble bath, coming in a huge bottle and making your bath times a whole lot more fun (because who doesn't instantly become a child again having bath time when you have a bubble bath?! ), their hand soap which I'm a huge fan of for not drying out my hands and this amazing luxury bath set which has all you need to have a pamper session at home. For a different perfume gift this Valentine's Day, why not venture to a new brand? I hadn't heard of Le Couvent Des Minimes before receiving this perfume, but I can confirm that it has become a firm favourite of mine. From the gorgeous design of the logo to the intense floral notes, I'm sure that this will become a real hit in the fragrance world. This always lasts for a long time on my skin, and for the eco-conscious out there it's made with natural botanical essences including Jasmine and Tuberose. 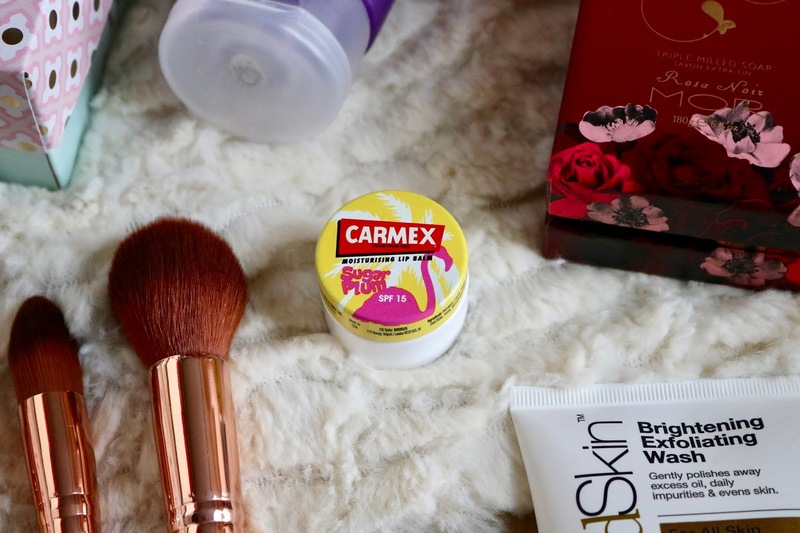 For a little treat to add to a gift or to just treat yourself, Carmex (previous collabs) have brought out a limited edition pot of their Sugar Plum Lip Balm with a super cute flamingo design. Even though it had a redesign, it still has a slightly sweet fragrance and tingle on the lips. They've also made steps to reduce their plastic waste by only using the amount of plastic necessary to make the packaging. This means there's a little indent at the bottom of the pot, meaning you still get the same amount of lip balm but without having any unnecessary packaging. Now, you may think that £12 is a lot to spend on a bar of soap but this is probably the most intricately detailed soap I've ever seen. Coming from Mor (previous collab), an Australian boutique brand, this soap has a gorgeous deep true rose smell (just without the thorns) and is packed with moisturising shea butter and Vitamin E so as to not dry out the skin. If you're pondering on what triple-milled means, it is the process of pressing the soap through a heavy duty roller, creating a smoother texture and a great lather when using. Basically, this isn't your standard run of the mill soap. This means business and is absolutely huge so you really get your money's worth. 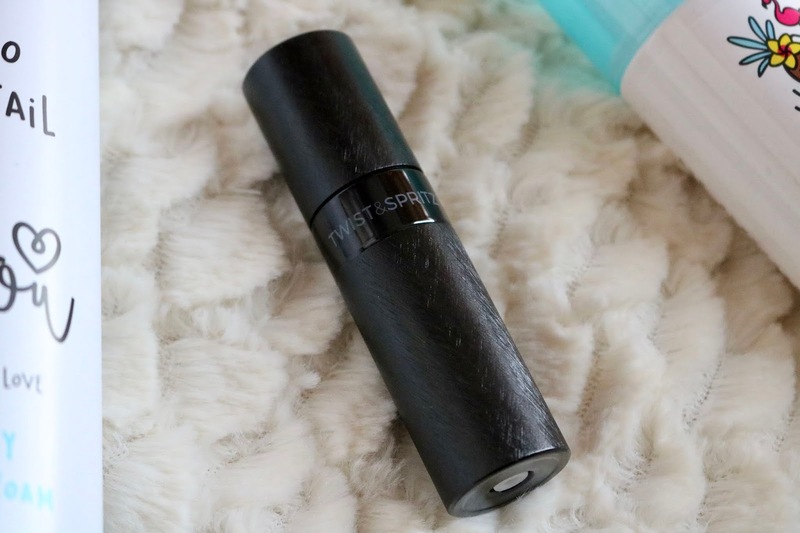 If your beauty lover travels a lot but struggles when it comes to bringing their favourite perfume with them, then this atomiser is a great thoughtful gift. I honestly don't know what I did before I had one of these, as they are so easy to use and stops me dashing around trying to find a sample of perfume to take with me. They have now improved their filling system meaning you can now fill up from a wide range of perfume bottles. If you want to take this gift a step further, why not fill it with their favourite perfume so they're all ready to go! As I have eczema, I really struggle sometimes to find nice smelling shower gels and foams that won't irritate my skin after washing. 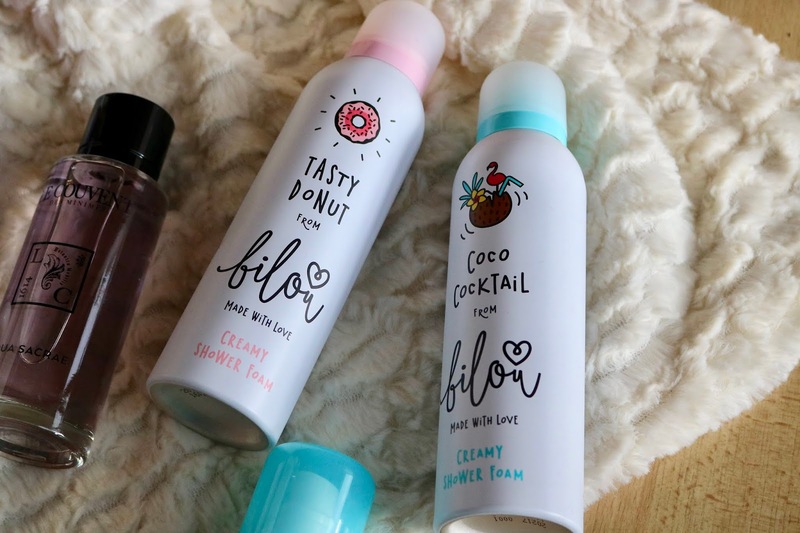 After using bilou shower foams (previous collab) for a little over a year now, I can confirm that they allow me to enjoy sweet yummy scents in the shower again! 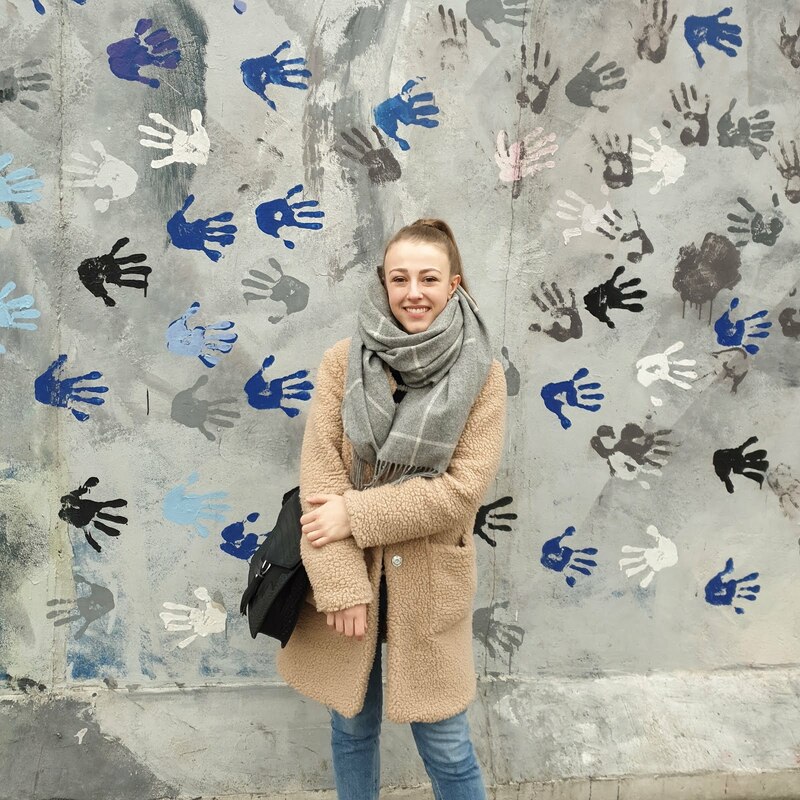 The difference with their foams is that they are super moisturising thanks to the aloe vera, almond and avocado oils in them, as well as using high-quality ingredients and are 100% vegan. They also have a huge range of fragrances, from sweet treats like their Tasty Donut range to tropical scents like their Coco Cocktail foams and sprays that smells just like a pina colada. 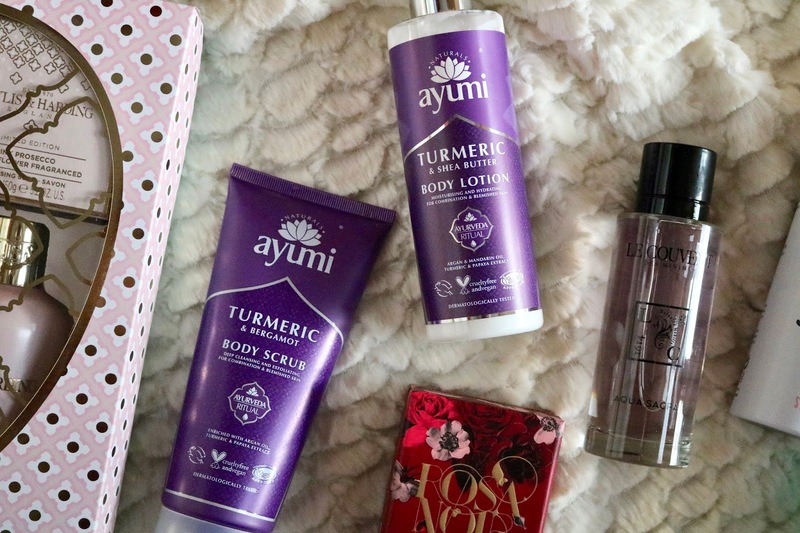 Keeping on the theme of bath and body, another great brand to check out if you're looking on the more natural side of things is Ayumi. They are a relatively new brand to me but have been dominating the eco skincare market for years. Combining the principles of Ayurveda, the historical practice of medicine in India, with quality ingredients, they have created a beautiful range of products. I adore the smell of the Tumeric & Bergamont range, and I love how the scent can relax me if I use it in the evening, or wake me up in the morning. I've added their body scrub and body lotion into my shower and bath routine as the scrub doesn't irritate my skin while the lotion soothes any eczema without being too thick. 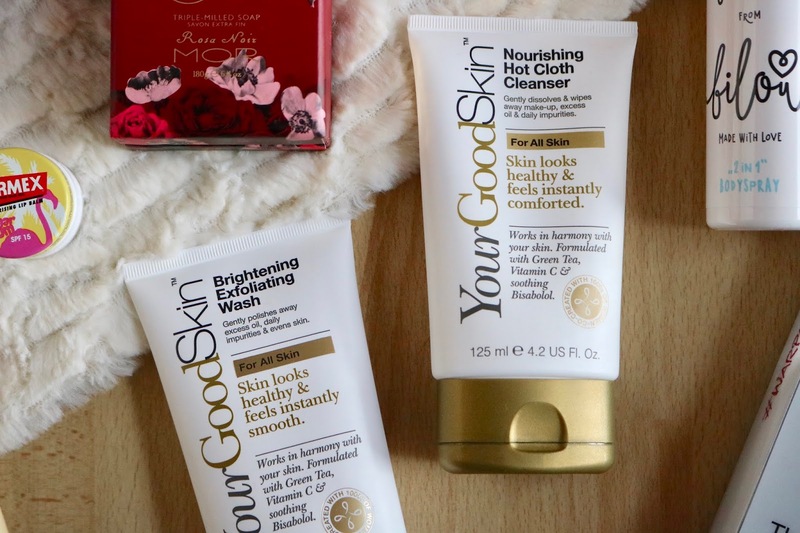 Whether you're getting ready to go out for a Valentine's date, or having a pampering sesh at your Galentine's night in, YourGoodSkin is definitely a brand that should be on your radar. This new skincare brand has been formulated by dermatologists but co-created by thousands of women who trialled the products and gave feedback to help create a skincare brand for everyone. For prepping skin for a night out, then use the Brightening Exfoliating Wash to clear dead skin cells and brighten tired skin. I thought at first that the exfoliating beads in this would flare up my skin, but thanks to the green tea and Vitamin C in it, my skin remained rash free. When I get home in the evening's I have really been enjoying removing the day's makeup/oil/stress from my skin with their Hot Cloth Cleanser. The cream formula leaves my skin soothed and soft and has become my daily cleanser in my routine. 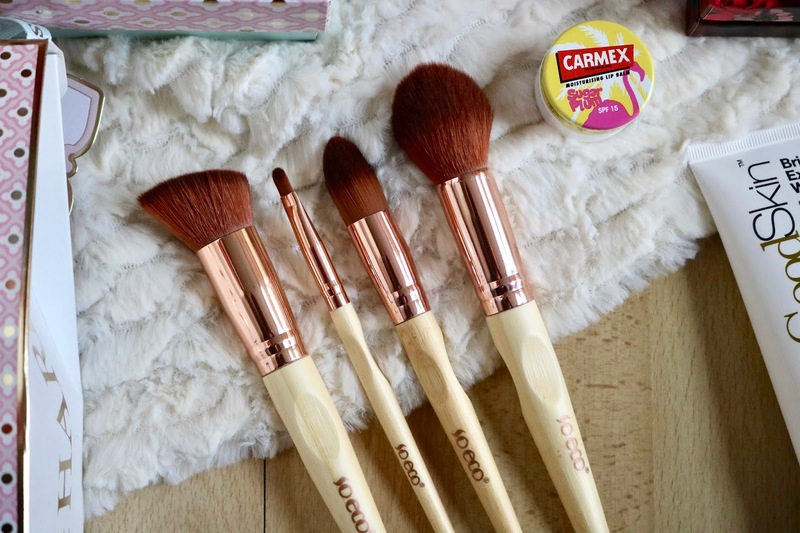 Every beauty lover needs the right tools to apply their makeup with, so why not update their brush collection with some new additions? Look Good Feel Better (previous collab) always do such great brushes, all while supporting women with cancer. 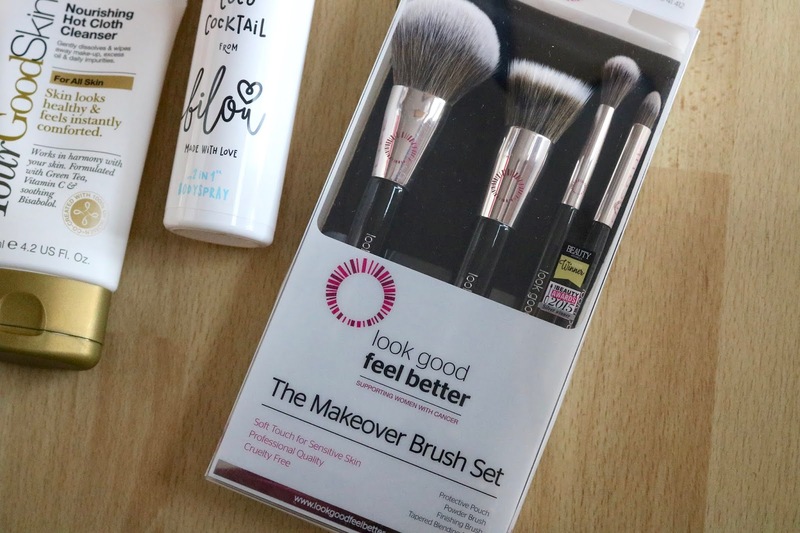 The Makeover brush set has some great tools for creating a Valentine's Day makeup look with a mixture of face and eye brushes with their cruelty-free taklon bristles, along with a handy travel case for touch-ups on the go. Again, for a more eco-friendly option, then So Eco (previous collab) are some of the best brushes on the eco market that I've tried! This brush kit has your face makeup covered with four base brushes and a travel case to put them in, as well as being 100% ethically sourced with their bamboo handles and soft cruelty-free bristles. The other thing I love about this brand is that they are trying to be eco-friendly in all areas. Their packaging is made of bio-degradable materials and they use vegetable ink and corn-starch windows instead of plastic. Hoping you have the best Valentine's Day, whatever you're up to! Here's to treating your loved ones (or yourself, because don't we all deserve it). So often finding the right gift for Valentine's Day can be exhausting. I think we "think" about it too much. But I really like how you simplified this process. V-Day doesn't have to be all complicated. Leave those more complicated gifts for birthdays or another Holiday. Thanks for sharing these ideas.